Nell Hodgson Woodruff School of Nursing faculty Dr. Carolyn Clevenger has been appointed associate dean for clinical and community partnerships, effective June 2017. In this role, Dr. Clevenger will oversee strategic collaborations with clinical agencies, community-based health resources, health systems and other academic institutions. In addition, she will develop continuing education and non-degree certificate programs to enhance professional development opportunities for working adults. Clevenger previously served as assistant dean for MSN Education at the School of Nursing. "Dr. Clevenger's vision and leadership as assistant dean has elevated the School of Nursing's MSN program and curricula to new heights in quality, visibility, and rankings," said Linda McCauley, PhD, RN, dean of the Nell Hodgson Woodruff School of Nursing. "Her forward-thinking approach to nursing education and outstanding record as a teacher, colleague, and scholar, make her an excellent choice to expand the School of Nursing's interdisciplinary focus and commitment to life-long learning and collaborative partnerships." Since joining the faculty in 2003, Dr. Clevenger has held numerous leadership positions in nursing education and practice at the School of Nursing and its clinical affiliate, the Atlanta VA Medical Center. 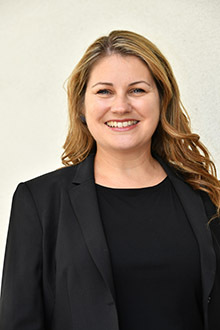 In addition to her role as assistant dean, where she leads the MSN program and implementation and evaluation of the APRN curriculum, she is the director of the Fuld Palliative Care Fellowship program and the nurse faculty lead on inter-professional education collaboratives such as the Inter-professional Team Training Day(s) and Emory's Senior Mentor program. At the Atlanta VA Medical Center, she is the senior nurse scholar of the Atlanta VA Quality Scholars Advanced Fellowship program. In addition, Dr. Clevenger conceived and launched the Integrated Memory Care Clinic, Emory's first nurse-led medical home. The clinic is the nation's only practice specializing in primary care for people living with dementia. Dr. Clevenger is immediate past president of the Georgia chapter of the Gerontological Advanced Practice Nurses Association (GAPNA), and a fellow of the American Association of Nurse Practitioners.